I’m really not very good at keeping a garden journal. Invariably I will completely forget to make any entries for months. That’s one of the reasons I take lots of photos of the garden, it’s my journal of sorts. I try to make sure I take photos throughout the seasons and of any new plants I add. One thing I also do is take photos of the plant tags along with the plant. This gives me a great resource in case I forget which variety of plant I purchased. It also gives me a date since that’s in the metadata of the photo. I will often take a photo of the pot in the location I put the plant in the garden as well. This helps me remember when things were plants and where I planted them. I know I’m not the only one that plants something and then can’t remember where in the world it was planted! I make duplicates of all of these images and keep them in a special folder in my photo software. They are also tagged with plant name and any other appropriate tags like: perennial, bulb, flower color, planting location, etc. The key to my system is tagging each photo with keywords so that they’re searchable. Also keeping them in one folder helps because they are all in one place. If you can’t seem to keep a journal going I’d highly recommend giving this method a try. As long as you keep these specific plant id images in one place you’ll be golden! 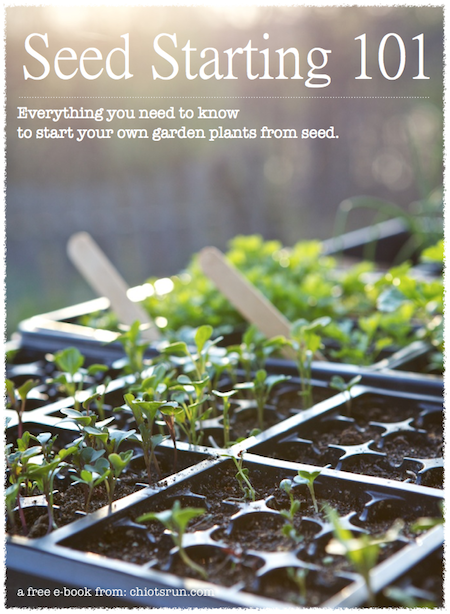 What method do you use to keep track of what you plant in the garden, and when and where you plant it? What a brilliant idea! I always keep the labels but they usually end up forgotten about in a corner somewhere and when I need one it’s been lost, or rained on and I can no longer work out what it says. I’m going to do this from now on, thanks. I have a hard time keeping a journal also. Just too dog tired at the end of the day! I do take lots of photos, but with less method. I will try your method for next year, this is a very restricted gardening year for me, with rotator cuff surgery and my right arm in a sling! Great time to plan to do things differently and better. “Gertrude Jekyll” is one of my favorite roses, along with “Zephirine Drouhin”. Are you close enough to the ocean that you are a zone warmer than I am vhere in NH, or is it hardier than I thought? It’s supposed to be hardy here, plus I’m planting it in a sheltered location where it should collect extra heat from the garage and rock walls. I used to use a graph paper notebook. A few years ago I graduated to an online (paid) gardening program. Not sure which I like better – this year I’m back to graph paper. I do a bit of this but think that I will try to make it a regular part of my planting process. Isn’t modern technology wonderful. Imagine trying to do this when you had to pay to have your film processed. 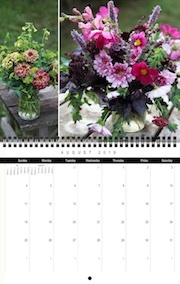 Susy, I use an online garden and plant planner to keep track of my plants. This year is an easy year. Basically, all I have is tomatoes and bell peppers. Between a late frost, flash floods, and hail, the plants had to be replanted three times. This year will be mostly spent on the structure of the gardens. It will be a great help for next year. Trying to work on fence building, bed rejuvenation, natural spring development, and irrigation building makes it tough to actually have time to do any gardening which is supposed to be the main thing. Then throw a week of being gone to attend a high school graduation in Las Vegas in prime gardening time and weeds take over. I’m trying to get caught up but now the weather is hot (96) with high humidity. That’s not too good for hard physical labor in the garden. This morning I made a disparate attempt to replant the sweet corn one last time before another storm comes through. Arising at 5am to spend two hours in the garden before my daughter goes to work gives me a cool time to work in the garden. Have a great keeping track day. GREAT idea–I love using tags/keywords on my photos (I’m so way behind, though), but I’d never thought to use that trick for gardening. I’m having my best tomato year ever, so far (no blossoms or fruit yet, but they’re growing! ), but all of the varieties will be a mystery unless I can figure it out by comparing the seed packets/catalog photos–all of the labels I had written out were erased by misting them when the plants were seedlings.